Mohanalakshmi Rajakumar is a writer and educator who has lived in Qatar since 2005. A scholar of literature, she has a PhD from the University of Florida with a focus on gender and postcolonial theory. Her work has been published in AudioFile Magazine, Explore Qatar, Woman Today, The Woman, Writers and Artists Yearbook, QatarClick, and Qatar Explorer. 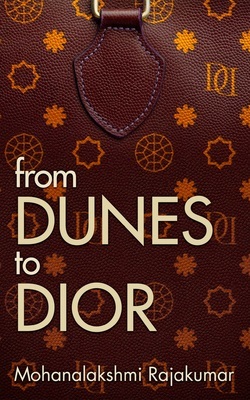 She has been a guest on Expat Radio, and was the host for two seasons of the Cover to Cover book show on Qatar Foundation Radio. She is the Associate Editor of Vox, a fashion and lifestyle magazine. 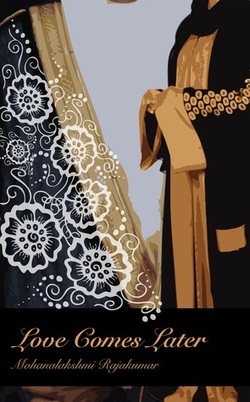 Mohana has also published Haram in the Harem (Peter Lang, 2009) a literary analysis of the works of three Muslim women authors in India, Algeria, and Pakistan. She is the creator and co-editor of five books in the Qatar Narratives series as well as the Qatari Voices anthology which features essays by Qataries on modern life in Doha (Bloomsbury Qatar Foundation Publishing, 2010). Currently Mohana is working on a collection of essays related to her experiences as a female South Asian American living in the Arabian Gulf and a novel based in Qatar. She believes words can help us understand ourselves and others. This short story collection includes stories of South Indian immigrant life in America told from various perspectives including a girl’s awakening to racism not only against herself, but other races during high school and later in college; a man and his wife battle the growth of their lawn in their first home; a young woman struggles with the death of her father. 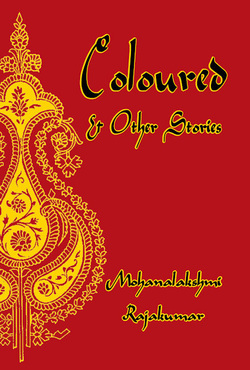 The debut short fiction collection by writer Rajakumar, Coloured and Other Stories is a multilayered look at South Indian immigrant life in America through the eyes of men and women confronted with mundane changes that challenge them to either retreat into themselves or connect with those around then. Readers will enjoy the range of emotions evoked across these narratives which include humor, danger, love, and passion. 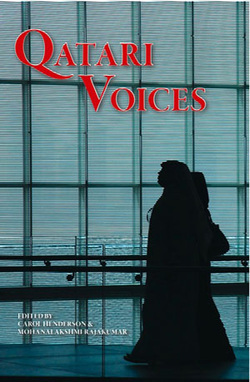 "Qatari Voices" is the first anthology that represents 25 young creative Qatari authors. The anthology reflects concerns and aspirations of the young Qatari generation illustrated in essays and stories. They are intimate glimpses of old reminiscence and longing to the simple past, as well as photos that show concerns of a challenging present and aspirations to the future. 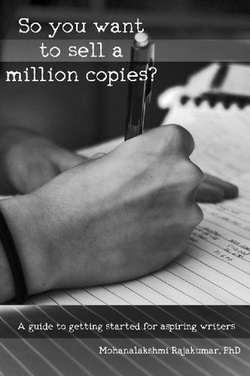 They also tackle sensitive issues such as arranged marriages and gender discrimination. "Qatari Voices" is a mirror of reality of the Qatari society from a young generation perspective. Haram in the Harem focuses on the differences in nationalist discourse regarding women and the way female writers conceptualized the experience of women in three contexts: the middle-class Muslim reform movement, the Algerian Revolution, and the Partition of India. During each of these periods the subject of women, their behavior, bodies, and dress were discussed by male scholars, politicians, and revolutionaries. The resonating theme amongst these disparate events is that women were believed to be best protected when they were ensconced within their homes and governed by their families, particularly male authority, whether they were fathers, brothers, or husbands. The threat to national identity was often linked to the preservation of womanly purity. Yet for the writers of this study, Ismat Chughtai (19151991), Assia Djebar (1936), and Khadija Mastur (19271982), the danger to women was not in the public sphere but embedded within a domestic hierarchy enforced by male privilege. In their fictional texts, each writer shows how women resist, subvert, and challenge the normative behaviors prescribed in masculine discourse. In their writings they highlight the different ways women negotiated private spaces between intersecting masculine hegemonies of power including colonialism and native patriarchy. They demonstrate distinct literary viewpoints of nation, home, and womens experiences at particular historical moments. The choice of these various texts reveals how fiction provided a safe space for female writers to contest traditional systems of power. Bringing into focus the voices and experiences of womenwho existed as limited cultural icons in the nationalist discourseis a common theme throughout the selected stories. This book showcases the fluidity of literature as a response to the intersections of gender, race, and nation. 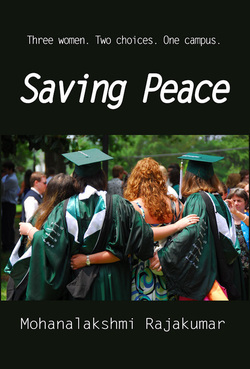 Thirty years intervene in the friendships begun at the all female Peace College. Sib, the local news anchor with dreams of going national. 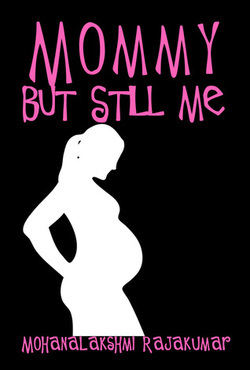 Mary Beth, the capable, restless mother of three. Kim, the college president who admits male students. Saving Peace is the story of promises made and broken, love found then lost, and redemption sought for the past. Three women. Two choices. One campus.